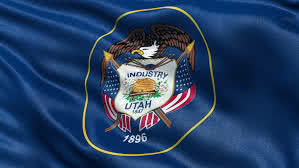 Utah is a state in the Western United States. It became the 45th state admitted to the Union on January 4, 1896. Utah is the 13th-most extensive, the 34th-most populous, and the 10th-least-densely populated of the 50 United States. Utah’s major industries include mining, cattle ranching, and salt production. Name of Utah corporation must be distinguishable from the name of any existing entity as well as reserved or registered names, forced fictitious names, assumed names or service marks. Company Express will research your company name to make sure it meets Utah’s standards. Required documents: Articles of Incorporation filed with the Department of Commerce. Turnaround time: About 30-40 days. 5-7 days expedited filings are available for an additional fee. Minimum number: Minimum three directors are required, but if corporation has fewer than three shareholders, its board of directors may consist of a number of individuals equal to or greater than the number of those shareholders. Corporation’s principal office may be located outside of the state, but local registered agent is required in Utah. Time to file: Utah requires corporations to file an annual report before the anniversary date of the incorporation. The state filing fee is $15. Name of Utah Limited Liability Company must be distinguishable from the name of any existing entity, or any forced fictitious names, assumed names, trademarks and service marks. Company Express will research your company name to make sure it meets Utah’s standards. Turnaround time: About 30-40 business days. 5-7 business days expedited filings are available for an additional fee. Appearance in articles: Member/Manager names and addresses are required to be listed in the Articles of Organization. LLC’s principal office may be located outside of the state, but local registered agent is required in Utah. Time to file: Utah requires LLCs to file an annual report on or before the anniversary date of the incorporation. The state filing fee is $15.